If you are looking for a unique, healthy and delicious way to start out your day, these Oatmeal and Prune muffins will be an instant hit! Quick oats and chopped prunes give these muffins a unique and delicious flavor, so make a batch for an oh-so-sweet morning breakfast or a healthy afternoon snack. Kids and adults will love the unique flavor of these muffins! 1. Preheat oven to 400 degrees F. Grease muffin tin and set aside. 2. In large bowl combine flour, sugar, baking powder, salt, and baking soda. 3. stir in oats and prunes. 4. In another bowl whisk together buttermilk, butter, molasses, and egg. Add to dry ingredients and stir until just moistened. 5. Fill muffin tins 2/3 of the way full. Bake for 20-25 minutes or until golden brown and springy to the touch. 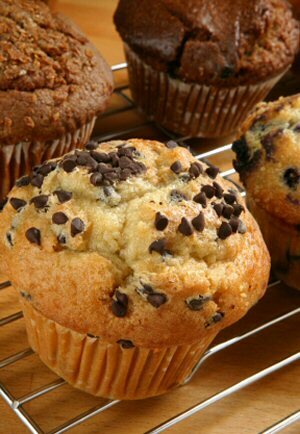 Turn the muffins out onto a rack and allow them to cool.